Fritz Huth entered 10 solo competitions in his lifetime and won them all. He held important orchestra and teaching positions, and many of his students hold principal horn positions in major orchestras. 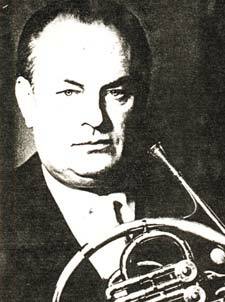 Huth was principal horn with the Dresden Staatskapelle and Hamburg State Opera (1949-1958). He was a member of Bayreuth Festival orchestras for 35 years. He also was highly regarded as a soloist and chamber musician. His solo tours took him to Africa as well as the Soviet Union and throughout Europe. Huth taught first at the Music Academy in Detmold and then for 36 years at the Bavarian State Conservatory Würzburg. Among his students are Hermann Baumann and Peter Hoefs. Hoefs was his last student (1970-72) and comments that Huth was one of those musicians whose best years were lost in World War II. Huth was involved in the Mozart Festival in Würzburg and was awarded a Gold Mozart Medal for his activities there. Publications include Schule für Horn (Method for Horn), Vorschulübungen (Preparatory Studies) and Tonleiter-Studien (Scale Studies). His method is described: "By means of this systematic, slow, step by step method, it is possible for the beginner to reach his goal as quickly and as surely as possible." Huth was elected an IHS Honorary Member in 1980, shortly before his death. A tribute appears in the October 1980 issue of The Horn Call.